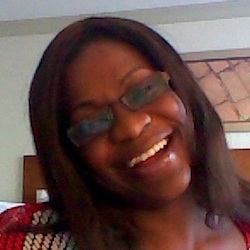 Dorcas Adwoa Aidoo comes to Edify with a professional background in Social Work and Development Management and previously worked for World Education Inc. She worked on various Education and Health projects in various capacities including Project Coordinator, Capacity Building Coordinator and Formal Education Coordinator. Dorcas led the capacity building process of Local NGOs in education and health as well as community structures/committees. Among others, Dorcas has assisted various community structures/ committees to develop strategic plans and redefine their vision and mission statements. She has conducted trainings for teachers, head teachers, circuit supervisors and School Management Committees. Before World Education, Dorcas worked with ADRA as the Eastern Regional Coordinator managing ADRA Ghana’s HIV prevention, Care and Support Project. She obtained her degree in Social Work and is currently pursuing her MSc. in Development Management at the Ghana Institute of Management and Public Administration. Dorcas has great passion for the education of the poor and finds fulfillment when through education and technology, the vulnerable are empowered to lead their development process.